Kat Harper has moved home to Cherry Hills, Washington, and is settling in happily, until she finds her neighbor, Mrs. Tinsdale, murdered. The police detective who turns up to lead the investigation is childhood friend Andrew, who'll be investigating his first murder. Except, of course, Kat has to investigate, too. Mrs. Tinsdale's cat, Matilda, with no one else to give her a home, moves in with her, and she gets involved with the rescue group Matty came from, and which Mrs. Tinsdale was treasurer for. This puts her in contact with all of the tiny number of people who could even conceivably had any motive to kill the friendly, kindly, older woman. I like the characters. They're not very deep or complex, but they are likable. Kat also doesn't ignore all common sense and put herself in obvious and predictable danger, which is a plus. Yet it seemed a rather slight story, even for its short length. Enjoyable, but not something that will linger in your mind after you're done reading it. In addition to that, Paige Sleuth a.k.a. Marla Bradeen reads the audiobook herself, which was perhaps not wise. She's not a bad reader, but she is merely reading aloud. She reminded me more than anything of me and my cousins reading to each other in bed at night, sharing a book in our shared bedroom. Warm memories, but there are better readers out there. Narration isnt very good. Might be an inexperienced narrator based on numerous other performances I've heard from other narrators. Speeding up the narration helped a little. The book read like a children's book, almost like Nancy Drew. Predictable and simple. Not much plot. Nosy girl sleuths with handsome detective. Three stars. Meh. An interesting and entertaining storyline with creative characters with well developed personalities. I look forward to seeing how this series develops in future books. This very short story had a few good things going for it. I really liked the cat. But the writing was very rigid, never becoming naturally flowing, and the reader/performer read very stiffly, with little emotion. Listening actually became painful. I cannot recommend this to anyone, unless perhaps you are attempting to learn to read by following along , and don't really care about the content. Sorry. I hate giving bad reviews . 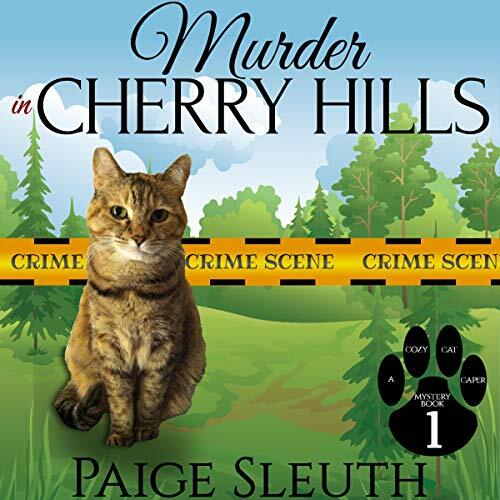 Paige Sleuth written an enjoyable book that is a nice start to a new series. Marla Bradeen does a nice job bringing it all to life. I look forward to the next installment.